The fever of social media channels and its usage have grown to a maximum extent and everyone around you can be seen hooked to social media. I know these stats prove nothing when you realize that around you during that brisk walk in the park, a rock-solid fitness session in gym, office cafeteria, traveling in metro or even after the client meeting; people give a smile looking at their screens amidst the sips of hot coffee. In such condition, it is very much expected that there would be a number of users added to the social media, and this number will never stop to one particular figure anytime in near future. Considering the craze and passion people have with the social media, businesses have taken the step to promote their services through some interesting and unique ways on social media channels. The very presence of businesses on the social media opens a portal of opportunities for the users, where they not just make the online presence, but also gain the wider acceptance for their business, with a mere mention of the product on these channels. As the new technology keeps rolling in every field to make the users stay more engaged, hence social media is also not an exception and it tries and implements new set of innovative technologies with the social presence, and in this run a new feature which is one of the most popular features currently is the Live Video session. But how live video is beneficial for the businesses to set a benchmark of their success??? 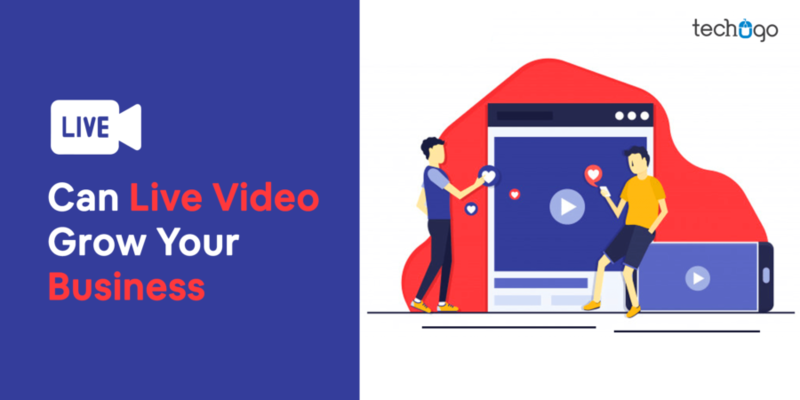 I knew and had a feeling that this question would certainly be popped out, so instead of giving you the reply in one or two lines, I have come here today with this post to help you understand that what exactly the live video feature can do for your business??? Excited??? Let’s not freeze down your excitement further and let’s begin this journey. Lately, when the video, sorry the live video started to get trendy on social media I remember I was very much hooked to Q & A rounds from celebrities, I follow and I enjoyed not just reacting but participating in as well..
Something which really caught my attention was the way users were questioning and the befitting replies were not just winning back the trust of the fans, but their replies also were becoming trending, so it was double sided promotion for your business. Indeed the Q&A session via live video is the way to reach out to your customers and make the bond stronger. The doubts, the complaints, the praises your customers have around your product or services would really take a platform to get addressed, and that lost trust and affection from the users would be won back. Pro tip- don’t pick the unnecessary topic, but pick the easier topics, which can be around the complaints or and specific feedback, and explain that how you would work on it. A brand becomes a global, only when it is accessed with an ease by the global customers, and these customers know about you. For this purpose, Live Video fulfills the demand beautifully. You need to share not just your product and services but you must also inform the users about what your brand is, what exactly your venue is, what your company is, you’re your opinions are…in total these all aspects give a reason to the users to TRUST your brand. By organizing and broadcasting a live event you get the optimal ways to build your brand. These events let you get recognized in the industry as a trusted and expert in your specific genre. Don’t forget to broadcast the live streaming video on a larger pool of social media channels so every user present on different channels can access your event. Pro Tip- Promote your Live Video session from a start to the larger audience base, make the SEO experts work religiously for this event. You might be thinking that by inviting the expert in the field how would help? Actually, the expert advice from the expert would really be proving to help with your branding and it will work as the influence of marketing for your business. The expert would share the light on your product and services, telling the advantages of your products honestly and this will lead the strong trust from the audience. Also, the influencer would promote and invite his set of audience for this session, which would bring the dual promotional and review gaining strategy for you. Pro tip- The influencer would never be an easier job to find; hence you must connect with them by sending your product to use. You can pick the social media star as well to perform this job. I am not at all a big fan of cosmetics, but something which really made me indulged into the cosmetic products when I first saw some Manny Mua video trending on social media and I watched and liked it. The reason I liked and preferred it was because that social media celeb reviewed the products LIVE. Pro Tip- When you decide to pick this strategy then make sure your product is available to the public already. I hope this post would really help you to understand the worth of the Live videos have for your services, and you cannot give it a skip at any given cost. If you are finding it troublesome to get the idea to initiate this promotional strategy then check the live session on Facebook and Instagram to get the right dose of the idea. Remember, to make your business get noticed by the audience, it is necessary to integrate the app technology and the other required promotional strategies to make your services transform into a GLOBAL brand.